Although Vespertine asks for L$100 for joining, it could be the best money you've spent in SL. Currently the main store is closed, but the temporary store on the Pea sim, contains all the group gifts. Everything you can see in the picture below - and more - is included. 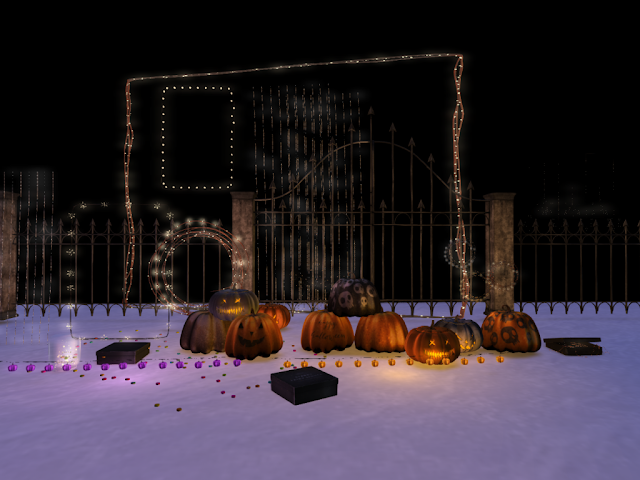 Pumpkins, cemetery gates and little pumpkin lights for Halloween, and lots of window lights, hanging lights and wreaths of lights for Christmas. Again, I haven't found the group to be intrusive or busy. The gifts are amazing, and I particularly like the wreaths and window lights. 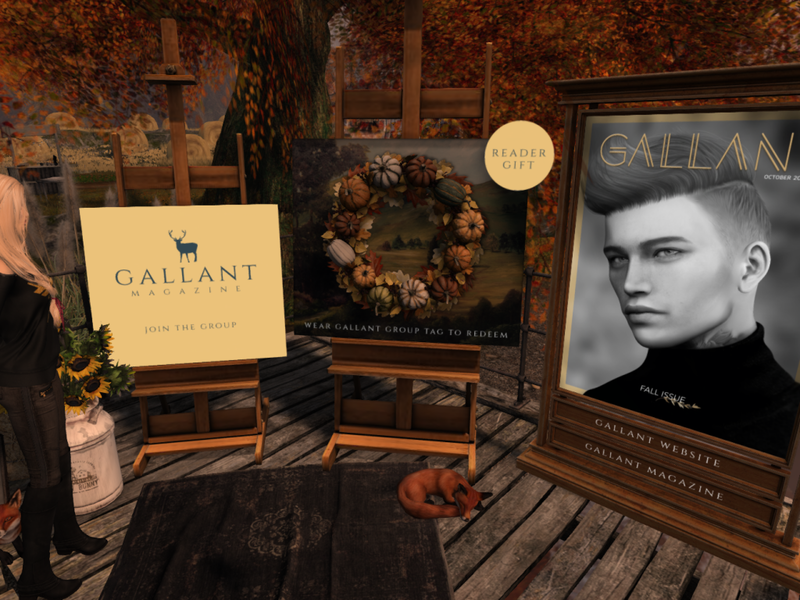 Apple Fall has announced an autumn/fall gift, in the shape of a pumpkin wreath for your door, in collaboration with Gallant Magazine. To collect the wreath you have to go to the Gallant sim, join their group (which costs L$99) and click on the box. So it is free, sort of.